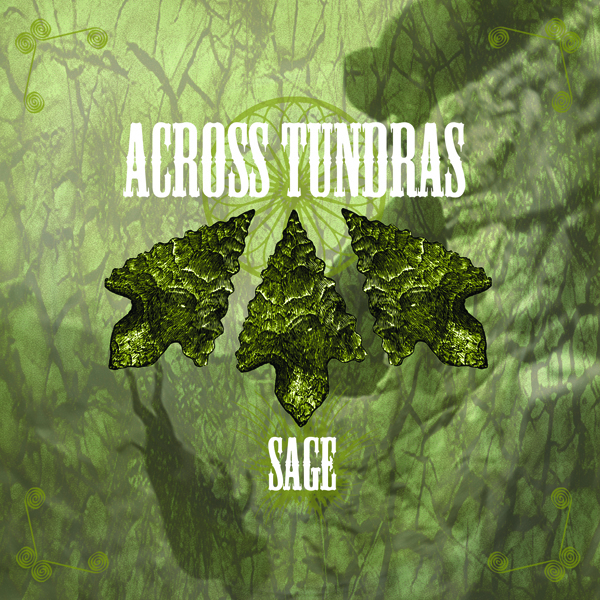 Sage, the latest full-length by Across Tundras is now available on their Bandcamp. Across Tundras has been described as Neil Young meets Geezer Butler. The basis is formed by doomy rock with a post-metallic edge, and infused with country and dark Americana. Strong songwriting, and inspired touches like the punkish mariachi gallop that ends In the Name of River Grand, and the Velvet Underground does country vibe of Buried Arrows. Prairie metal, heavy but not brutal, and dark but not bleak. Read the reviews from Metal Review and The Obelisk and check it out. Across Tundras' previous album, the excellent Old World Wanderer from 2010 is available as a free download here. I'm hearing a little more Dylan than Neil Young, but still a pretty good description. It's kind of like that latest Horseback album--it shouldn't work so well, but it does. Yeah Dylan too, and lots of other things. Even a slight hint of electronica in the instrumental closer.